You can be a victim of identity theft if you do not delete your device data properly. If you thought deleted data cannot be recovered, you are wrong. There are third-party softwares that make data recovery child's play. 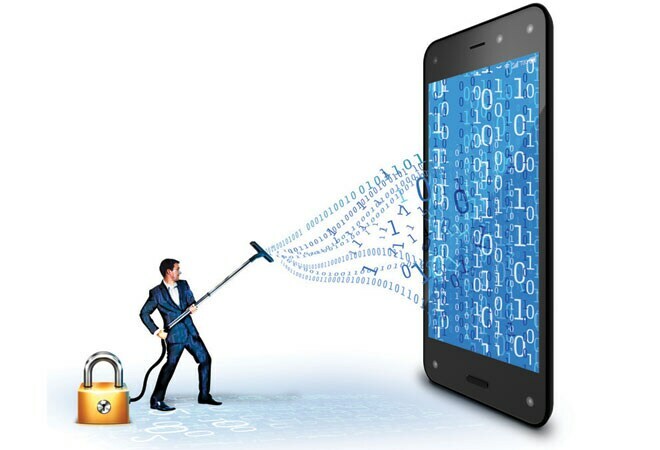 Most of us either delete data files stored on smartphones, tablets, laptops, hard disks and pen drives, or run the factory reset command, while some others feel their data will remain safe if the device storage is formatted. Deleting data is, however, a far more complex process. So, before you decide to discard your old gadget here's how to ensure your personal data does not fall in the wrong hands. Android OS: Factory reset is one of the most common ways to delete data from devices. But if you plan to sell or discard it, factory reset is just not enough. You have to first encrypt the data before running the command. Just tap on settings, security and select encrypt phone. Add a complex password that is hard to crack and then press on factory reset. It is a tedious process and can take a couple of hours. Once the hard drive is encrypted, all the data will be scrambled and, effectively, useless. iOS: iPhones and iPads are far more secure than the rest. They come with full disk encryption supported at the hardware level by Apple. The company claims to have designed the iOS with security as its core. A simple erase all content and settings will do the job. The iPhone will ask you to key in your Apple account password before the device is wiped clean. If anyone tries to access the information, he or she will have to first create a new account and that will not allow them access to the previous data. Windows devices, hard disks and pen drives: Even Microsoft acknowledges that reformatting a disk or reinstalling the operating system does not translate into wiping a device clean of the data. The company recommends Active@ KillDisk and Softpedia DP Wiper. Both tools are free. Killdisk is a hard disk drive sanitising tool that destroys all data and also cleans up the drive's boot sector. RoadKill's Disk Wipe is another software that securely erases the contents of a disk. It can either replace it with random data or leave the drive completely blank. While running the software, you can select the number of passes that should be performed as it ensures data is totally unrecoverable. This programme works well on hard drives as well as flash drives. Eraser is a software that removes residues from the deleted files, overwrites the wiped disk several times with selected patterns. Both can be used if you want your disk to be wiped clean. Darik's Boot and Nuke also do a good job. You can also seek professional help. SSD: The software won't be any good for cleaning an solid-state drive (SSD). The simplest way is to search for the SSD manufacturers drive-wide secure erase. You can download the specific programme. You can then use it to wipe the solid-state drive. The other option is to encrypt the SSD using VeraCrypt. There's also a third option. Third party software, such as Parted Magic, come at a nominal price and can erase the disk. It works well on Mac OS as well. Mac: On a Mac, you can use the built-in FileVault utility to encrypt the SSD. It is simple to use and does not require any passphrase or additional software. After a security wipe using third-party apps and software, you can also load the device with data such as movies and wipe it all over again. This data will be overwritten on the emptied space that will further eliminate the chances of retrieving data. If you overwrite the data several times, it reduces the chances of recovering data.